About a year ago Kevin Ashtari's little Lakeview coffee shop, Asado Coffee Company, abruptly shut down right around the holidays. Rumors flew for a bit, but by early February, Asado—and Ashtari—were back up and running. "I realized this is my true calling and I had to get back to it," he told Mike Sula at the time. Now Ashtari's business partner, Jeff Liberman, announces that Asado is expanding, with a location at Paulina and Chicago—right by Hoosier Mama Pie Shop—slated to open by March, and a Loop location in the works for 2014. They'll continue roasting in the Irving Park shop for the immediate future, he says, and will stick to their MO, specializing in made-to-order manual-drip coffee. That hasn't stopped them from ordering an $18,000 Mirage espresso machine for the Ukrainian Village location, he tells me. But in other ways they've quite deliberately remained small—"I go get the milk in the morning on my bike," Liberman says. And there's still no food and "no flavors, nothing but the coffee." 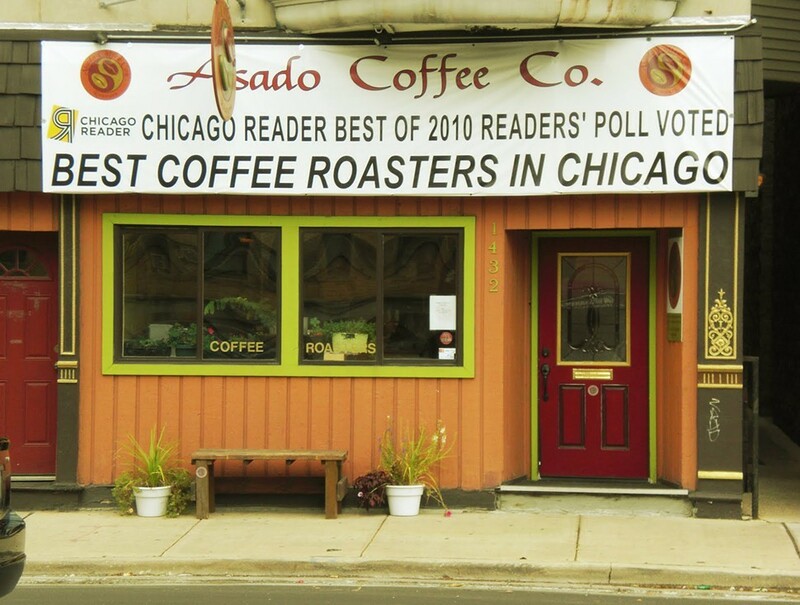 Since Asado opened back in 2009, it's been joined by the likes of Gaslight Coffee Roasters, Ipsento, Big Shoulders Coffee, and Lakeview's Bow Truss (which is also expanding, in this case to the Merchandise Mart area). Liberman seems unconcerned. "One thing sets us apart from everyone in the world," he says. "We've never made a pot of coffee."